How can an Empath and an Intellectual have a good relationship? How can an “Empath” and an “Intellectual” have a good relationship? An empath and an intellectual can have a good relationship. 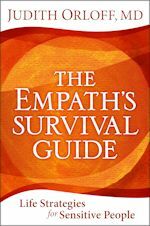 As a sensitive empath, it’s very important that you set clear limits and boundaries with your girlfriend and would recommend reading my book, The Empath’s Survival Guide for strategies to honor your needs. As I discuss in another book, Emotional Freedom she is the emotional type called the Intellectual. She naturally prefers staying in her head whereas you tend to be more empathic and intuitive. Intellectuals are bright, articulate, incisive analysts who tend towards a cerebral approach to emotions. When stress hits, they often take refuge in their head as the first line of coping. Their world is powerfully filtered through rational thought. Picture the highbrow New Yorker literary scene in the Sixties: Gore Vidal and John Updike, thinkers who heatedly wrestled with opinions and ideas. Intellectuals can also be scientists, teachers, housewives, anyone who’s predominantly focused on mental pursuits, Ivy League pedigreed or not. Surrendering worry is very important to maintain peace of mind. A good relationship is based on respect and trust. As an empath you have special needs and require quiet time. Talk to your girlfriend about your needs and have her also read The Empath’s Survival Guide then you both can find a creative way to find balance.